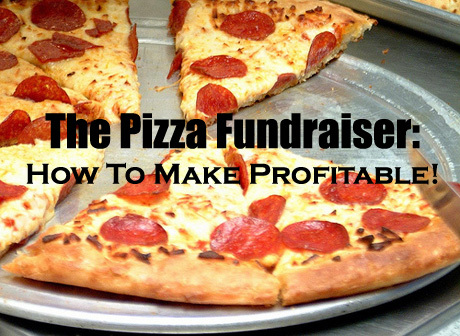 Like all food fundraisers, a Pizza fundraiser can be really rewarding and profitable! After all it is food, and people love food. But why would you decide to use Pizza as a way to fundraise for your cause? It's something which you need to think about and carefully consider. As a general note - Pizza is one of the most popular food types, and if something is popular, then it will always work well as a fundraiser! But you need to evaluate whether your cause, organization and its supporters would much rather buy pizza kits or cards from you, then any other type of food fundraiser product, like Cookie Dough for example! If the answer is yes then a Pizza fundraiser is the fundraising idea for you! This page is about Pizza kits and with a small bit about a Pizza event. If you want to find out about Pizza Fundraising cards then read here. Obviously by firstly deciding if it'll suit your cause or organization. Then you need to find a quality pizza kit supplier. And finally by promoting and selling effectively! There are many ways to promoting and selling your Pizza kits. It means use a good balance, but make sure that you and your sales team are getting in front of people and taking orders! 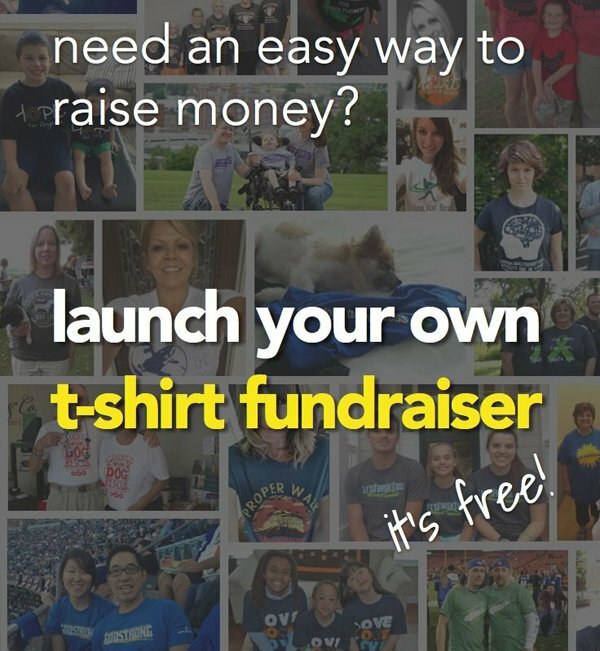 You should start by making everyone aware of the fundraiser. Announce at assemblies, meeting, or Church congregations! Then send out a fundraising letter to all your members and supporters informing them about your pizza fundraiser. Give details about how they can get involved, help out, and order their Pizza fundraising kits! Make sure you promote the fundraiser in all your publications like newsletters, reports, Church service 'order of proceedings' brochures etc. etc.! 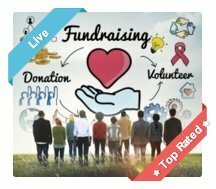 The internet is a great way of promoting your fundraiser now days and you can get the word out there quickly to many people. But just remember that you can't rely on your online promotions and you still need to get in front of people and talk to them face to face! 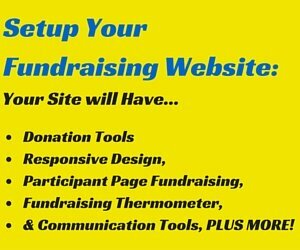 Promote and Post about it on your fundraising website. Consider having a method for people to order their pizza kits off your website. 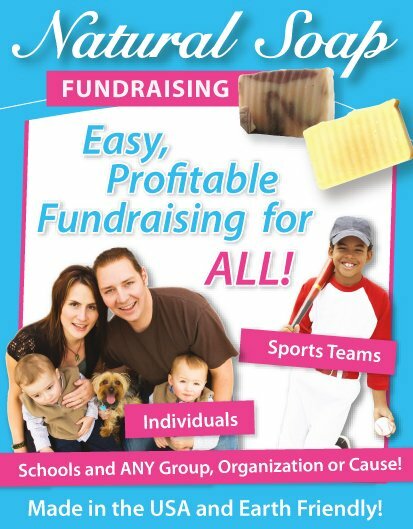 Announce the fundraiser on your online newsletter. Promote off all your Social Media accounts. Email your Pizza fundraising letter out to your entire email list and ask them to support and also forward that email on to their email list. And be creative. The internet is a fantastic tool. So use it effectively! Spread the word far and wide... And quickly! A sales team - that gets in people's faces and promotes your Pizza fundraiser kits!!! 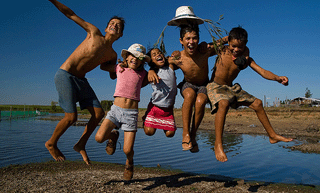 If you are a school or an organization with a youth group then you will have your best sales team available already... The kid's! If not, you will need to find volunteers from your members and supporters. Once you've assembled your sales team you must prepare them properly. Give them the right tools to take orders or make sales, and equip them with some basic sales knowledge and a sales pitch guideline. 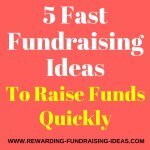 The pitch should be simple and to the point, while highlighting what the fundraiser is for. 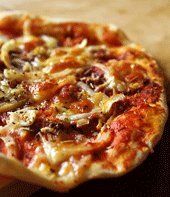 For example, "You'll be able to make the best and most tasty Pizzas from our pizza kits right at home. I've tried them myself and they are fantastic! You'll also be able to feel good about knowing that you've helped a fantastic cause!" Then always have an incentive program that rewards top sellers! It will be great encouragement and motivation for your team to get out there, and sell as many Pizza kits as possible! 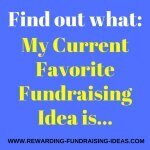 A resource that has great advice on preparing and using your fundraising sales team effectively is Let's Raise Money by Jack Atwell (Click to read my review). There are hundreds of Pizza kit suppliers that you could choose from. Like Little Caesars, or TJ's Pizza. Firstly, on the quality of Pizza. Secondly the profit margin you'll make. And thirdly on reliability of the company, do they have a track record! 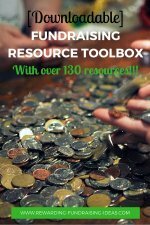 For other fundraising product options grab this FREE fundraising product guide. 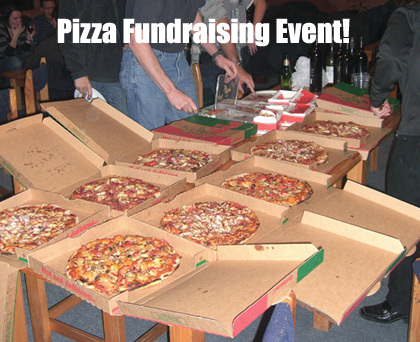 A pizza dinner or lunch event is another great way of pizza fundraising! 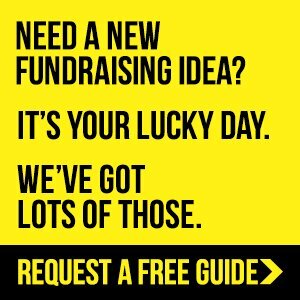 You can either hold it as a standalone fundraiser or use it as an extra fundraising idea at another event of yours, like a basketball tournament fundraiser. A Pizza fundraiser event is just like any other food event. For example like the Spaghetti Dinner Fundraiser. What I would suggest is that you use the same advice from the Spaghetti dinner, and just replace the Spaghetti with Pizza instead! Only other change I would make is to make it more casual!!! 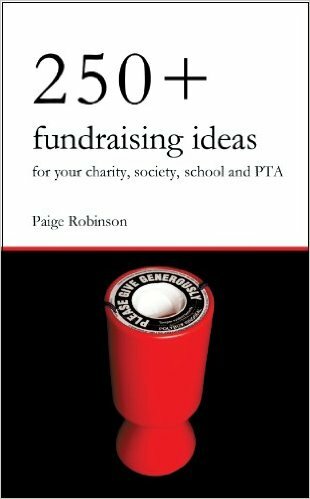 You should also read the Instant Fundraising Event System eBook to learn how to run Fundraising Events effectively! Then head up to the Pizza Fundraiser Kit Supplier section and start looking for a Pizza Kit supplier near you.